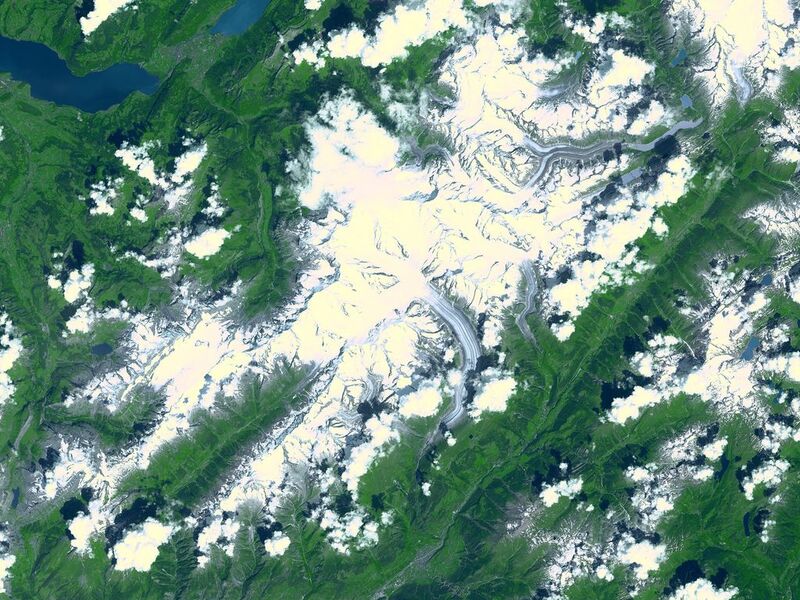 Aletsch Glacier, the largest glacier of Europe, covers more than 120 square kilometers (more than 45 square miles) in southern Switzerland. At its eastern extremity lies a glacierlake, Mdrjelensee (2,350 meters/7,711 feet above sea level). To the west rises Aletschhorn (4,195 meters/13,763 feet), which was first climbed in 1859. The Rhone River flows along the southern flank of the mountains. 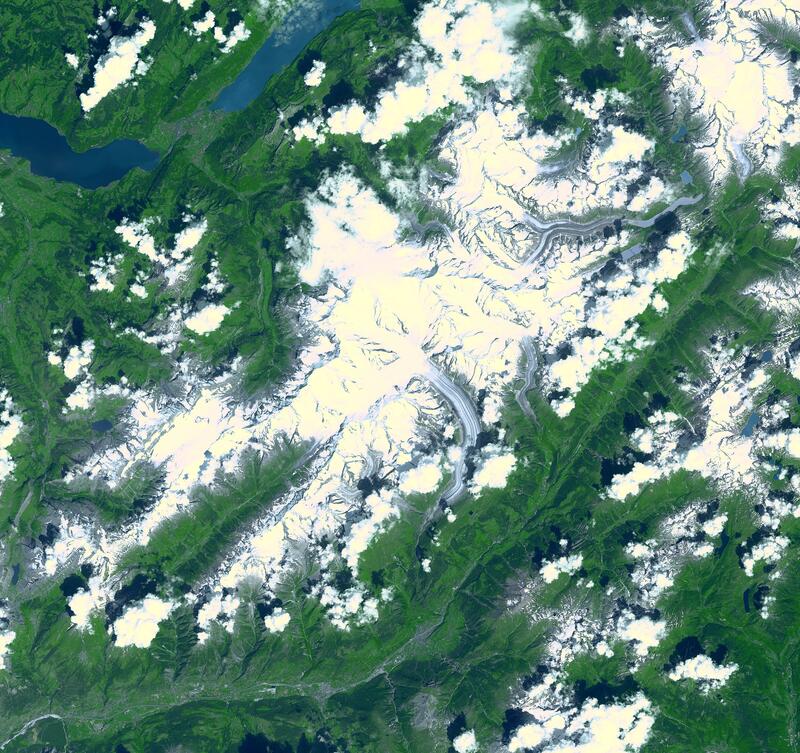 This image was acquired on July 23, 2001 by the Advanced Spaceborne Thermal Emission and Reflection Radiometer (ASTER) on NASA's Terra satellite. 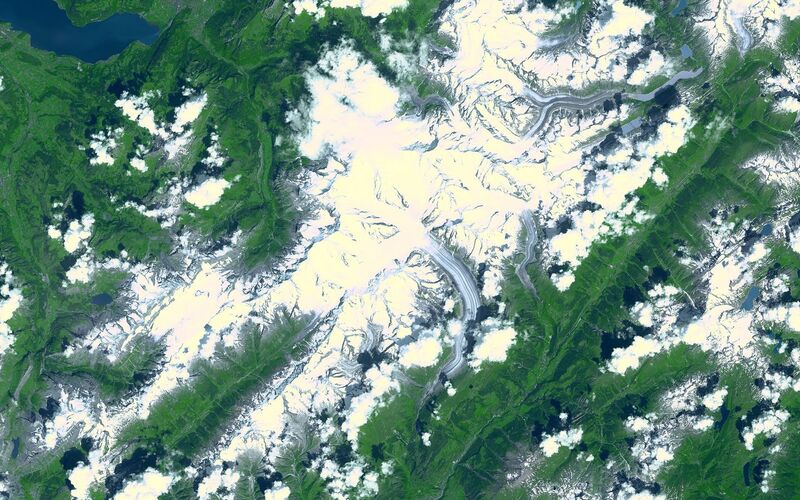 With its 14 spectral bands from the visible to the thermal infrared wavelength region, and its high spatial resolution of 15 to 90 meters (about 50 to 300 feet), ASTER will image Earth for the next 6 years to map and monitor the changing surface of our planet. 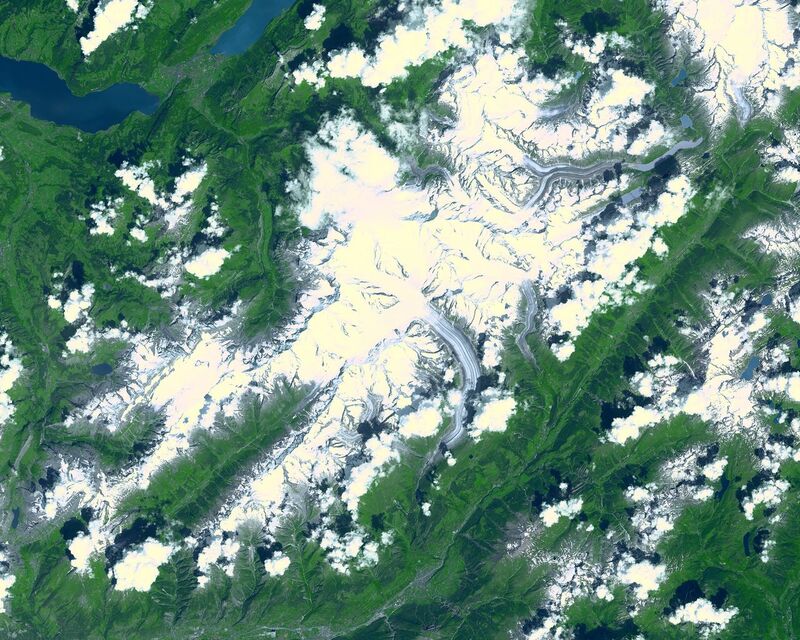 ASTER is one of five Earth-observing instruments launched December 18, 1999, on NASA's Terra satellite. The instrument was built by Japan's Ministry of Economy, Trade and Industry. A joint U.S./Japan science team is responsible for validation and calibration of the instrument and the data products. Dr. Anne Kahle at NASA's Jet Propulsion Laboratory, Pasadena, California, is the U.S. Science team leader; Bjorn Eng of JPL is the project manager. The Terra mission is part of NASA's Earth Science Enterprise, a long-term research and technology program designed to examine Earth's land, oceans, atmosphere, ice and life as a total integrated system. Location: 46.5 deg. North lat., 8.0 deg. East long.